The banks of Bayou Grand Caillou in Dulac, Louisiana, have been home to many shrimp processors over the last century. Although only a handful now remain, Tidelands Seafood Company, a fourth-generation family-owned company, is still operating and open today. Alan “Andy” Gibson, 48, owner, grew up in an ever-changing industry that was started by his great grandfather, Aubin Buquet. Aubin began drying shrimp on platforms in the marshes of Terrebonne Parish in the early 1930s and was shipping his dried shrimp in wooden barrels to Japan until World War II. With the loss of overseas customers, he embraced a more modern technology, and in 1938, he opened the Buquet Canning Co. and transitioned from drying shrimp to canning shrimp. This also brought the customer base back to the U.S.
Aubin passed away in in 1953, and his son, A.J., along with his brothers and sisters, continued the family canning business and also added oysters to their product line. That same year, A.J. started the Tidelands Seafood Company, which was the dockside unloading facility used to keep the boats closer to the fishing grounds since they used to travel all the way from Houma, La., to unload. Tidelands Seafood was built next to the family store, and a supply house, fuel dock, and ice plant became the support system to the canning facility. The product was unloaded and trucked to the canning plant. Andy’s father, Jesse “Jack” Gibson, married A.J.’s daughter, Judy, and he left the oil field to work in the family business managing the Tidelands’ dock and oversee the company fleet of vessels. In 1968, the newest company steel hull trawler was named “Capt. Andy” after the then 2-year-old Andy. When the canneries began losing market share to the cheaper overseas imports, A.J. decided to shut down the cannery and continue in-the-sack oyster business that sold fresh product from the company vessels. Jack bought the Tidelands division from A.J. in 1975. He continued in the vessel management and fresh product operation, mainly buying off the boats and sending the small shrimp to peeling plants while heading the larger shrimp and sending the tails to be graded and packed. Andy says that all changed on the night of Sept. 1, 1977, when a car wrecked and caused an explosion that destroyed Tidelands Seafood, as well as the store, supply house and fuel dock. By 1978, Jack was packing his own 5-pound block headless in his new building under the old family label of Bayou Chef Brand, which A.J. had introduced into the market many years before. Although this line of work was what Alan knew, he did step away for five years to attend college in Florida. While in college in Pensacola, he worked at a shipyard for a short stint before moving back into commercial fishing, but this time as a commercial shark fisherman in Bayou La Batre, Ala.
Alan attended college during the winter semester and spent the summer and fall catching sharks: “Not many can say they paid for college catching sharks, but I did,” he says. After graduating in 1991, and marrying his wife, Jennifer, they moved back to Louisiana to the family business. A few years later, Alan took over the duties of his father at Tidelands when Jack decided to spend more time with his cattle operation. The bulk of Tidelands’ clientele base is comprised of distributors, wholesalers, and a few chain restaurants throughout the country. Given Tidelands is not a processor with peeling equipment onsite, they specialize in custom packing of 5-pound block-frozen boxes of headless premium wild product under two brands: Bayou Chef and Signature. Alan also is committed to being a voice for the industry. He currently serves as chairman of the Louisiana Seafood Promotion and Marketing Board, the Institute for Seafood Studies Advisory Board at Nichols State University, as well as the Terrebonne Coast Zone Board. While balancing his own business, it’s not uncommon for him to field multiple calls a day regarding industry issues at state, regional and national levels. 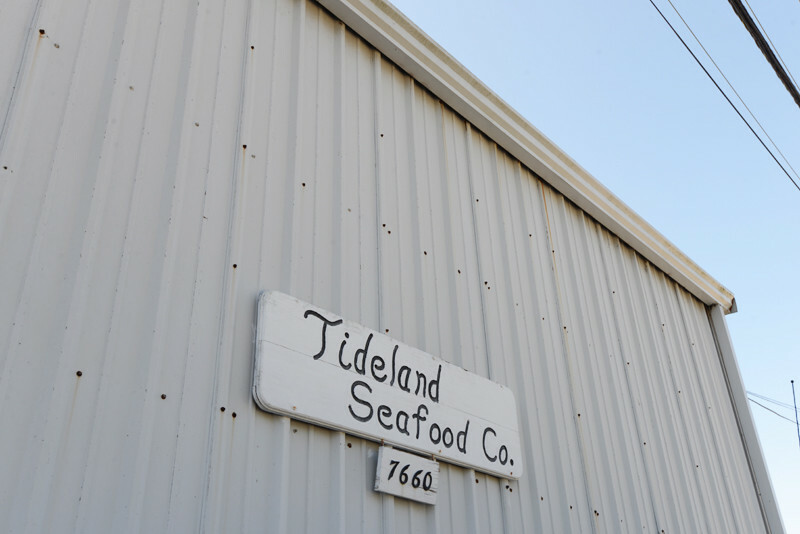 When it comes to the day-to-day operation of Tidelands Seafood, Alan says company strengths include maintaining the integrity of family history through the brands they pack, and offering a reputable product of quality and consistency.